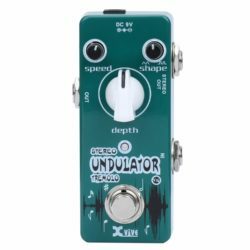 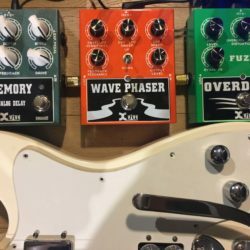 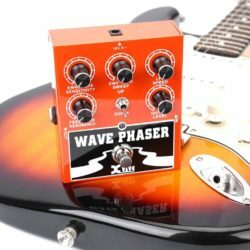 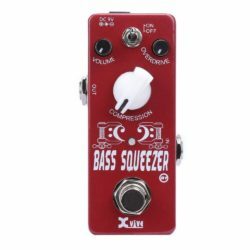 These are some cool cheap Chinese guitar pedals. 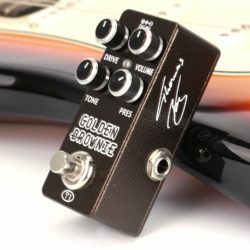 That’s cheap as in less expensive. 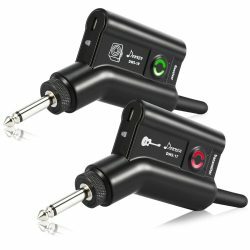 The Donner Rechargeable Wireless Guitar System DWS-1 is a new perfected digital transmission wireless system with no loss in sound quality and less than 2.5ms delay during transmission. 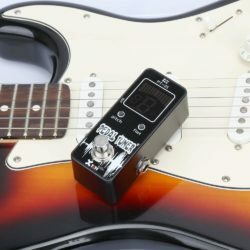 And it offers a reliable way to transmit your guitar (or any other electric musical instrument) signal, enabling you to break free from using cables. 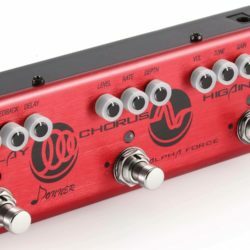 With a transmission distance up to 200 feet, you are afforded the freedom to roam the stage for a truly dynamic performance. 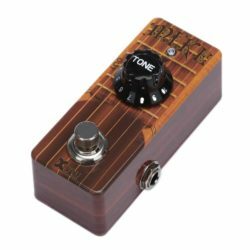 Here’s another cool looper pedal and other fine product from Ammoon. 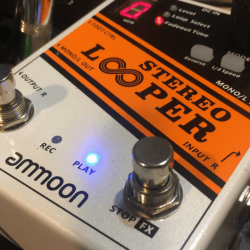 The Ammoon Stereo Looper Guitar Effect Pedal has 10 Independent loops with 10 minutes recording time and unlimited overdubbing. 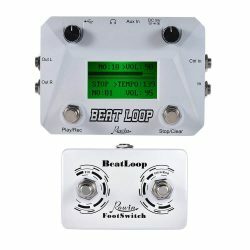 You get 10 selectable, independent loops with each loop’s recording time up to 10 minutes. 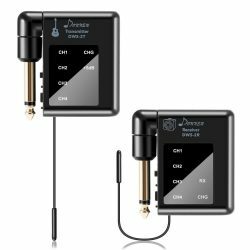 The true stereo connections allow looping of 2 separate instruments simultaneously. 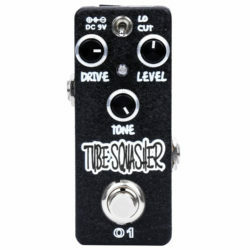 Reverse, 1/2 speed, undo/redo and fadeout effects all easily controlled via the dual footswitches. 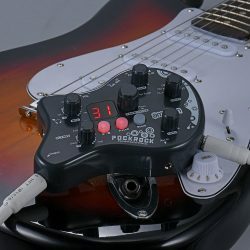 A footswitch can be added via the ext input for even more hands-free control. 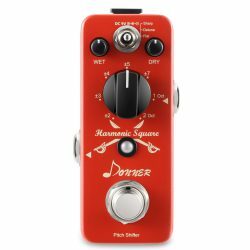 Donner Harmonic Square mini guitar pedal. 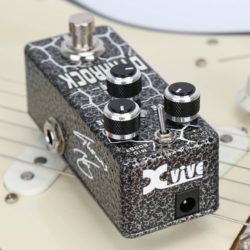 You can get a lot of cool sounds from this pedal. 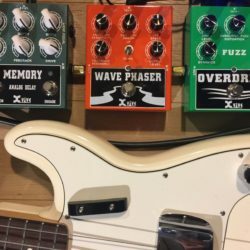 Beef up your single note riffs and solos, get a 12 string kind of sound, a bass sound, and many other kinds of tones. 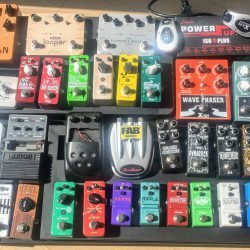 Alpha Force is an effects chain which combines three types of effects in one, including an analog distortion, a dreamy chorus, and analog-voiced delay. 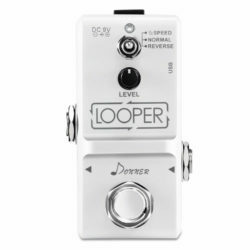 The Donner Tiny Looper Pedal is well built, and works great. 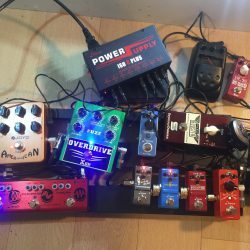 The small size of these nano pedals makes it easy to fit into any pedal board or keep on the floor for quick looping/songwriting ideas.